The call was never threatening but rather, inspiring. It was a call to feed the hungry, clothe the naked, comfort the lonely, heal the sick and broken, and bring hope to the despairing. It was a call to love everyone as God loves us, and to share with them the peace and joy that He alone can bring. As I began university back in 2004, I carried an inspiration to study to serve the poor one day. Often seeing many of my Filipino brothers and sisters suffer from poverty day in and day out troubled me. For example, I remember going to school early one morning and seeing a middle-aged man by the roadside naked, covered in dirt, famished, his hair disheveled, and his eyes wandering aimlessly as though he were all alone without any hope or support. This, together with many other encounters with the poor strongly beckoned me to dedicate my life to them. I think that this was the specific moment of the call. It was our Lord’s invitation to me to feed the spiritual hunger of His people by becoming His instrument. It was also when I realized that the call to be a priest wouldn’t be about me or “my fulfillment”. It especially means the happiness of others, an eternal happiness, which they can have if I bring Jesus to them and them to Jesus. They were waiting for my “Yes!” Now I only had to discover when, where and how the Lord wanted me to follow Him. A week later on June 13th (also the feast of Corpus Christi), I attended Mass and sat beside a statue of our Lady of Sorrows. Seeing how Mary carried her Son, I approached her after Mass and entrusted my life into her heart, “Mama, please take me as you carried your Son. Please show me how your Son would like me to follow Him.” Then 10 minutes later, I found a book in the Church bookstore all about the Legionaries of Christ. When I turned to the chapter regarding the Legion’s spirituality, I read, “The Legion of Christ is dedicated to the Sacred Heart of Jesus and our Lady of Sorrows.” I was so happy to know that Mama Mary was helping me! Remembering those special days 13 years ago – the encounters with the poor, going to Mass, going to confession, the friendship and counsel of a priest, the intercession of our Lady, and the constant listening of a young heart to the promptings of the Lord – speaks so much to me of our God, who strongly desires to love His people through simple instruments. The call was never threatening but rather, inspiring. It was a call to feed the hungry, clothe the naked, comfort the lonely, heal the sick and broken, and bring hope to the despairing. It was a call to love everyone as God loves us, and to share with them the peace and joy which He alone can bring. 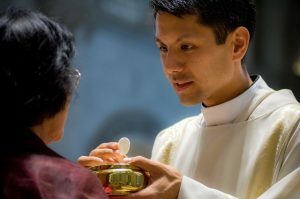 Deacon Luis Lorenzo LC was born in Manila, Philippines on April 3, 1986. He is the second of four children. 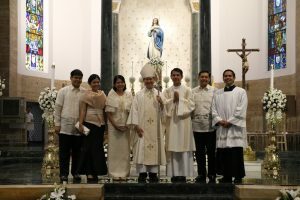 He attended Xavier Elementary School and the Ateneo de Manila High School, both Jesuit institutions, before moving to Georgetown University in Washington DC to earn a college degree. 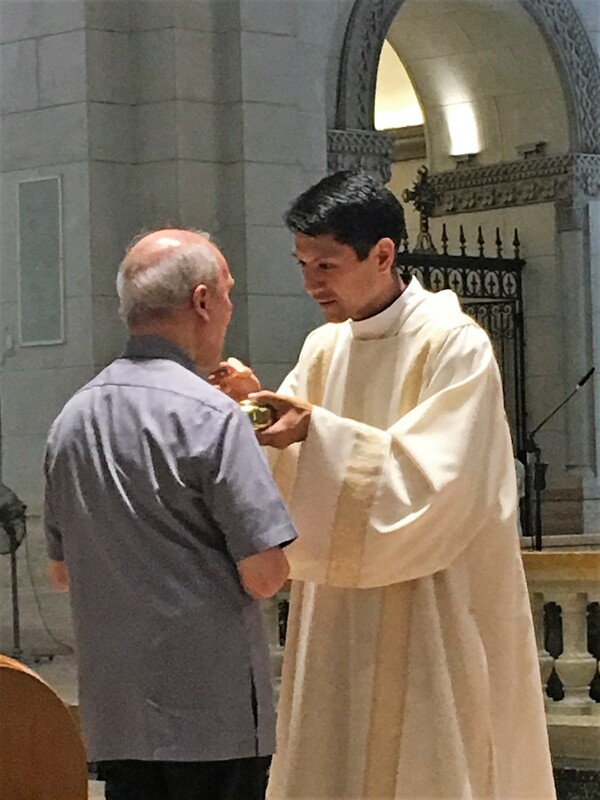 In the summer of 2004, he entered the Legionary Novitiate in Cheshire, Connecticut and made his first profession of vows on September 2, 2006. He earned a Bachelor’s degree of Philosophy at the Legionary Center for Higher Studies in Thornwood, New York in 2009. He then spent three years of apostolic ministry in Monterrey, Mexico and New England, as part of the youth ministry and vocational promotion team for the Novitiate. 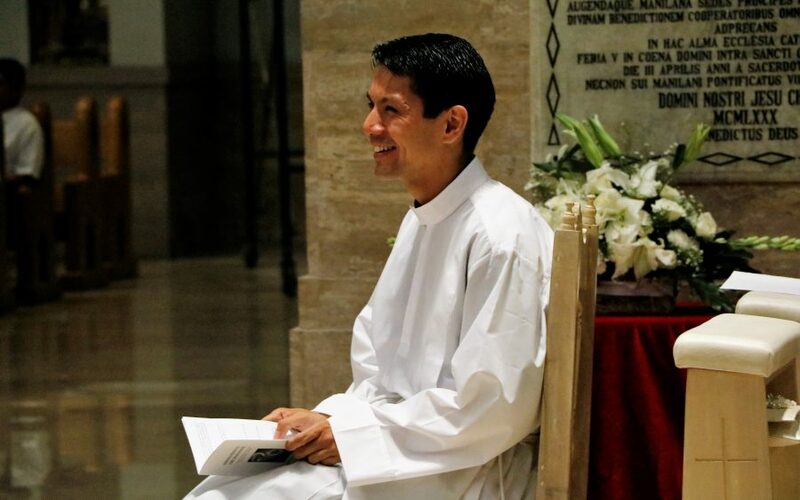 On August 15, 2012, he made his perpetual profession of vows and arrived to Rome to earn a Licentiate in Philosophy and Bachelor’s Degree in Theology. 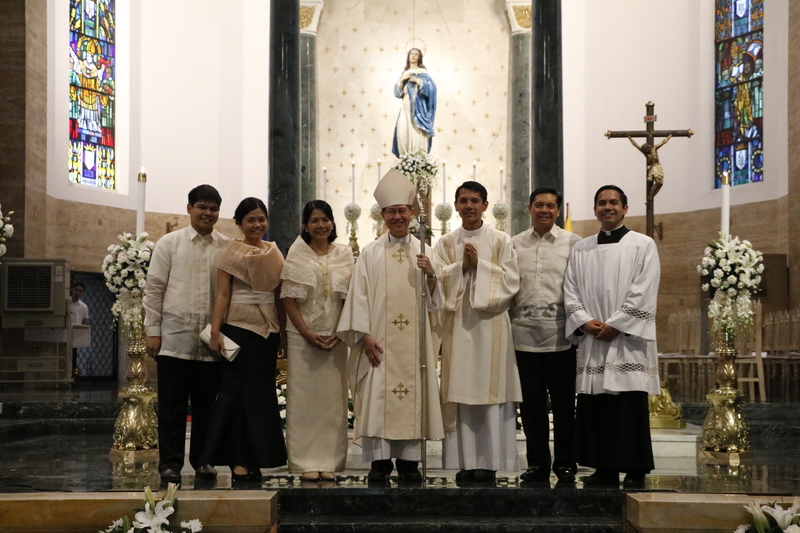 On May 31, 2017, he was ordained to the diaconate in Manila by His Eminence, Luis Antonio Cardinal Tagle. 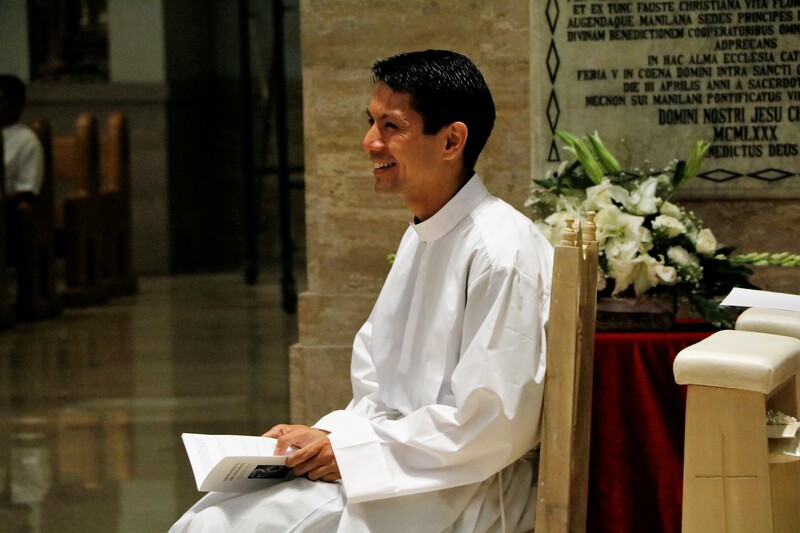 Deacon Luis is now serving in the Philippines as a member of the Regnum Christi youth ministry and vocational promotion team.